Check out our list of the highest paid (active) Latino athletes in different sports from around the world. Ronaldo is a Portuguese professional soccer player with an annual salary of $45 million. He is the first Portuguese player to ever sign with Manchester United. In 2009, Ronaldo left the team to play for Real Madrid. And aside from playing with MU and Real Madrid, he also plays for the Portuguese National squad in the World Cup and other national tournaments. Messi is an Argentinian-born professional soccer player. His annual salary is $44.68 million. Messi is the world-renowned striker and winger of the FC Barcelona and the Argentina National Team. He is a UNICEF Goodwill Ambassador. Neymar da Silva Santos Jr. is a Brazilian soccer player, with an annual salary of $12 million. In 2012, Neymar signed a $119 million contract with FC Barcelona. Alonso is a Spanish race car driver. His annual salary is $40 million. He has competed in Grand Prix globally and represented Minardi, Renault, McLaren and Ferrari. He is a UNICEF Goodwill Ambassador. Nadal is a Spanish professional tennis player who has won more ATP Masters than any tennis player in history. He is also considered as one of the greatest tennis players of all time. Cabrera is a Venezuelan professional baseball player who has an annual salary of $22 million. He is a seven-time All-Star, a 2012 American League MVP. In 2008, he signed a $152 million contract with the Detroit Tigers. Canelo is a Mexican professional boxer, he hails from a fighting family, with two of his brothers being pro boxers as well. He grossed over $28 million in fights so far year to date. Santos Saul Alvarez, better known as Canelo, is also Mexico’s highest-paid athlete. Rodriguez is a Colombian professional soccer player. He has an annual salary of $7 million. His primary position is mittlefield. He is playing for Real Madrid. 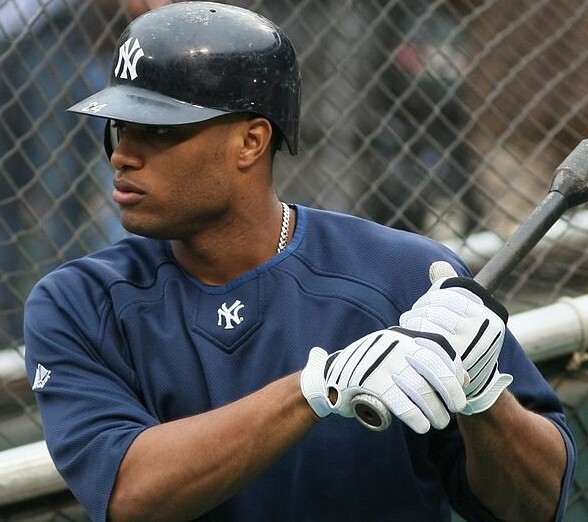 Cano is a Dominican professional baseball player who has an annual salary of $24 million. This four-time All Star athlete was also a member of the Yankees World Series championship team. Falcao is a Colombian professional footballer who has an annual salary of $23 million. He plays for the English club Chelsea and represents the Colombia national football team. During the 2014 FIFA World Cup qualification rounds, Falcao was Colombia’s top goal scorer with nine goals. Pujols is a Dominican-born professional baseball player whose annual salary is $24 million. He is a nine-time All-Star selection and has been named the National League MVP three times. In 2011, he signed a contract with the Los Angeles Angels of Anaheim.